Apple’s “survival mode” ended a long time ago — more precisely, on that historical day in January when Apple co-founder Steve Jobs unveiled the device that revolutionized the smartphone as the industry knew it: the iPhone. Since then, Apple has experienced a transition toward becoming a luxury company, says Guy Kawasaki, former Apple evangelist and Google employee (via MacDailyNews). Kawasaki is the author of “The Art of Social Media,” and he got a job at Apple during the company’s early times, in 1983, as an Apple evangelist. He left four years later to lead ACIUS but returned to Apple as an Apple Fellow in 1995. At that time, Apple was supposed to die, but that didn’t happen. On the contrary, we’ve witnessed Apple grow into the biggest tech company in the world by market capitalization. In an interview with Bloomberg, Kawasaki talked about how Apple transitioned from a company in “survival mode” to a luxury company. 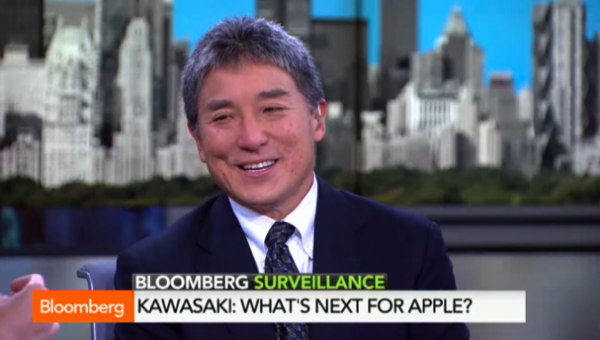 The key event was the launch of the iPhone, followed by the iPad, but Kawasaki says all “i’s” contributed to the company’s successful transformation. Bloomberg: Is apple a luxury brand or technology? B: Did you know that when you were there? K: Know it wasn’t when I was there; back then it was supposed to die. B: When did you see the shift? K: With the iPhone. With the “i”whatevers. By the way, Guy Kawasaki admitted that he just switched from Android to the iPhone 6 Plus because of an app that is designed specifically for iOS.